FFR takes over The Tonic Bar for FFR’s Birthday Tonight! – Radio for the People, by the People. FFR takes over The Tonic Bar for FFR’s Birthday Tonight! The Tonic Bar has once again opened its bar to us from 6 PM to 10 PM. 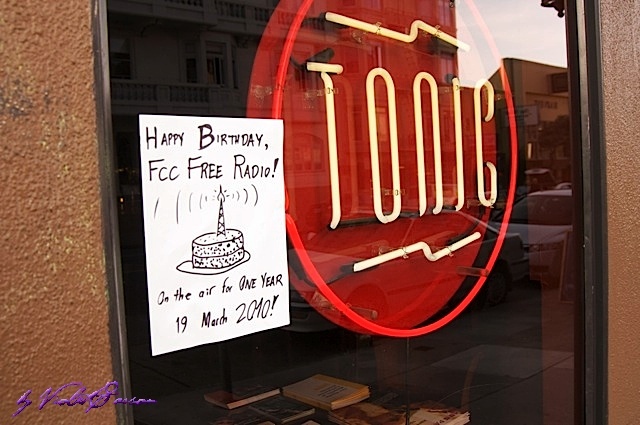 We will be having FCCFREE RADIO’s Birthday Party. We will be broadcast live on the new Remote Feed. Little FFR is now 2. I know as the proud single parent of little FFR he kicked and screamed telling everyone the way it was going to run his crib….. He got his way! Now you can see why he want to do his way! Thanks San Francisco’s for two great years, and FFR will give you many more.